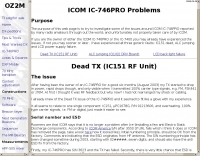 The purpose of this web page is to try to investigate the ICOM IC-746PRO Dead TX problem reported by many radio amateurs through out the world; and unfortunately not properly taken care of by ICOM. 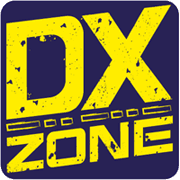 If you are the owner of either the ICOM IC-746PRO or the IC-7400 you may already have experienced the Dead TX Issue. If not you may sooner or later.